Bone Dry Roofing installs and repairs ridge vents and other types of roof vents. We are Greater Nashville's expert roofing contractors for roofing solutions that include roof repair, roof replacement and more. 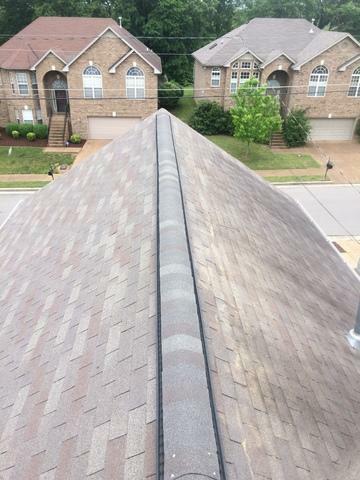 Contact us for a free quote for ridge vent installation in Nashville, Murfreesboro, Franklin and throughout Tennessee. The specialists at Bone Dry Roofing can help you choose the right type of roof vents for your home. We can repair or install roof vents and improve your attic ventilation. We offer all our professional roofing services throughout Greater Nashville, including Nashville, Murfreesboro, Franklin, Hendersonville, Antioch, Smyrna, Lebanon, Mount Juliet, Gallatin, Brentwood and nearby. Call us at 1-844-705-0368 to get a free quote on any of your roofing needs.